​I have managed to find some examples of historical and contemporary maps online, most of which you can zoom in on and wander happily about, following your ancestors. Some are free to view, but increasingly, you might find limited viewing online to encourage you to purchase bespoke excerpts via the more commercial sites. ​Street names and place names also have a habit of changing, so I've included some useful sites that can help you find long lost lanes in Dublin. 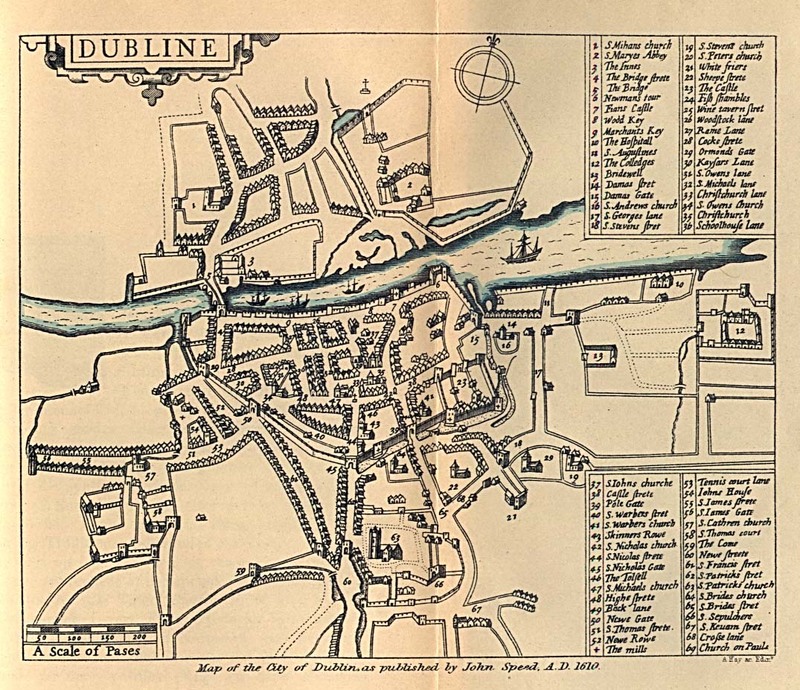 Historic Maps of Dublin Several different Victorian versions, plus street indexes to some. OSI Ireland The Ordnance Survey of Ireland main site. Lots of functionality with historic layers etc. Best to have a play! UCD OSI Maps University College Dublin's digital library of 19th century historical maps. Again, best to have a play! Kilkenny City Map 1780 As found on Wikipedia page - always worth just hunting these pages for places. ​One particular resource that is a goldmine of geographical information is Samuel Lewis's Topographical Dictionary of Ireland, published in 1837. Original images of both volumes of this work plus a beautiful atlas of county maps are all available FREE to browse and download from the AskAboutIreland website - just click on the named link above. There is also the facility to search a transcript of this resource via the LibraryIreland site if you prefer. The Royal Academy of Ireland (RIA) has published online a series of historical maps in its Irish Historic Towns Atlas. These are currently 28 available online and these have been grouped into collections relating to their common origins - Viking, Anglo-Norman etc. (see the thumbnails at the foot of the page.) There are a range of maps and supporting material available for each, but be well aware that these resources were primarily created as print products (which you can buy via their shop of course) and so, because of copyright restrictions, not all the printed material is made available online for free. There is also a reference book that has been written to help you interpret the maps, sections of which are hyperlinked from the online home page, so be sure to read these before diving into the maps. The rest of the RIA site is also awash with information and essays, so worth exploring.